The following piece originally ran on the website Dear Producer and is shared here courtesy of editor Rebecca Green, a Film Independent Fellow and Creative Advisor. Excerpts from Dear Producer appear on our blog monthly. Learn how to directly support Dear Producer here. Gabrielle Nadig is a producer based in NYC. Her first feature film King Jack premiered at the 2015 Tribeca Film Festival, where it took home the Narrative Audience Award. 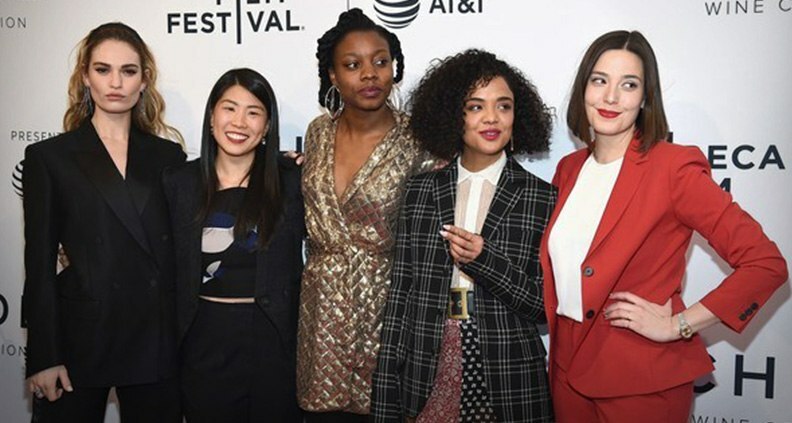 Gabrielle’s latest film, Little Woods, starring Tessa Thompson and Lily James, premiered at the 2018 Tribeca Film Festival and won the Nora Ephron Award and is being released by Neon in April 2019. Nadig also produced The Sunlit Night starring Jenny Slate and Zach Galifianakis, which premiered at the 2019 Sundance Film Festival. She is a 2013 Sundance Creative Producing Fellow, and a 2016 “Women at Sundance” Fellow. Gabrielle joined the Beachside Films team in 2018. Gabrielle is a 2019 Film Independent Spirit Award Producer Award Nominee. 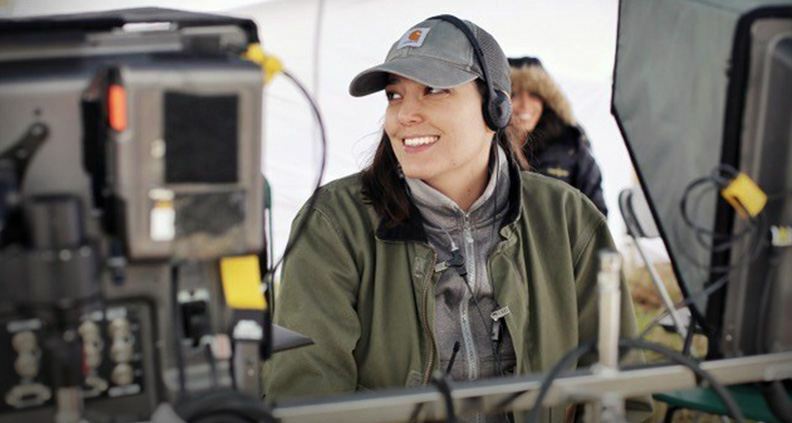 With the Film Independent Spirit Awards taking place this Saturday [EDITOR’S NOTE: the awards happened on February 23] Dear Producer spoke with the final Producers Award nominee in our series, Gabrielle Nadig. We discussed her decision to move from producing independently to producing for Beachside Films, her perspective on the producer-director relationship and how she stays true to the things that drew her to film early in her career. Rebecca: I want to start with you moving from being an independent producer to now being a producer at the company Beachside Films. How did that come about? Gabrielle: I got my start in independent film by working for Christine Vachon and Pamela Koffler at Killer films. Working for them at a small production company in New York City was my gateway to independent film. I suddenly was introduced to all these different directors, production companies and agents, and began to see the industry in a way that I had never had access to before. I then participated in the Sundance Creative Producing Lab after leaving Killer and began my indie producer career. I made two independent films back to back, King Jack and then Little Woods. The whole time that I was producing, I was also running a commercial production company. That was how I made actual money. I would run this commercial production company all year long and I would take breaks to do a movie. It turned out that the things that Beachside wanted to do and the things that I wanted to do were incredibly aligned and so they offered me a position and I started working here in January of 2018. My title is “Producer” and I produce the things that Beachside is going to make. Beachside is a production company that also finances and I’m the on the ground producer working with the directors from development through post and delivery or I’m bringing in new projects that will get added to our slate. I’m tracking directors and meeting with short filmmakers and working with them to develop material. That’s my role here. Rebecca: I want to jump back to something you said about feeling like you couldn’t do a movie by yourself above two million. What were the obstacles you were coming up against? Gabrielle: The opportunities that I felt I was being offered were all in the same sort of wheelhouse. They were all indie films that had gone through the Sundance Labs or smaller films that were based in New York, because that’s where I’m based. They were all looking for someone to help find financing, which I like doing, but that’s not the producer’s only role. I was working with investors who only put in a couple of hundred grand per project. The max I felt that I could work with would be one to two million dollar movies with privately funded equity. If I wanted to do something bigger, I was going have to partner with a bigger production company, but none of those projects were being offered to me. Rebecca: I’m feeling that now in my own work and trying to push to a bigger level, but not knowing exactly how to do that. The circle of people I am in all work at the same level, so what is submitted to us tends to be the emerging director, low budget film, which we’ve done enough times already and can’t sustain a living producing. Gabrielle: Exactly. My first movie was about bullying and it was under a million dollars so then people come to me and ask if I want to make another low budget film about bullying. Rebecca: We have Christine Vachon in common, I interned for her in college. Besides her amazing filmography, what I admire about her is that she found a way to create a brand for herself, which is not easy to do as a producer. Do you have any tips or thoughts on branding? Gabrielle: I actually thought about this a lot after King Jack, because I didn’t want to make another movie in that way where we didn’t have enough money or resources. But those are the kinds of projects that were coming to me and the types of directors that wanted to work with me. What actually really helped me was after King Jack, I got accepted into the Women at Sundance Fellowship, which is a year-long mentorship program where we talked very openly about things like branding. What I discovered about myself during that year was that I never really soul searched what kind of movies I wanted to make. People would come to me with projects and I would agree to do them, but I had never sat down and thought about why I said yes to things. So I made rules for myself for why I said “yes.” The movie had to involve women or be about women or have a female director. I really wanted to tell stories about healthcare. I wanted to make things that were about very specific subjects. I made a list of questions and now when I get a project I go through the list and see how many of the boxes get checked off. If it’s over half, I’ll probably do it. Rebecca: How many things are on the list? Gabrielle: It’s exactly 10. One of the wonderful things about the Women’s Fellowship is that they also gave us a career coach. The career coach matched with me was not in in the film business in any way. She worked in D.C., and all of her clients are politicians or CEOs of big companies. Then me, this young woman who’s running a commercial production company. She was very helpful in asking, “What do you like? Why do you do that?” [laughs]. I had to think deeply about the reasons I like film and the stories I want to tell. We made a bullet point list of 10 things, including asking, are there women involved, what is the time commitment, are the parameters of what my role is and is that role defined with my director, will I get taken advantage of? Things that are both logistical for the project, the spirit of the project, and its narrative. Rebecca: I think that’s great. I ask most producers I talk to if they have a list of of things they look for when taking on a project, but I find that most answers are similar and somewhat generic, mine included. I ask, “Do I like the project and is there an audience for the project?” Pretty basic. You’ve really dug in deep and I admire that. Gabrielle: Producing is so hard and so thankless most of the time, that you need to make it spiritually worth it to yourself. There are a lot of contributing factors to that and I think that a lot of producers don’t protect themselves in certain ways. Then they get burned and then they don’t produce anymore. Find a way to make it work for you that makes it more productive. To go back to your original question about branding… I’ve made a bunch of movies that have abortions in them, but I don’t want to be known as the producer that makes abortion movies, although that’s something I’m very passionate talking about. The Billy Crystal movie was a comedy and I had never done a comedy before. Then the movie that I got put in charge of at Beachside when I first started was also a comedy and was international. That was new and different. I try to maintain that checklist, but also continue to add new elements to it that will advance my career in some way, like the budget is bigger or it’s a co-production, or it’s a different genre than I’ve ever tackled before. I haven’t made a horror movie, but eventually, I’ll probably end up making some sort of hard genre movie. I think it’s important to diversify, but you have to stay true to the things that you’re interested in and what drew you to making films in the first place. Rebecca: I want to go back to your comment about feeling like you had to decide between producing films or staying in the commercial world. I think a lot of indie producers think it would be great if they could get commercial work, as the fees are more reliable, but say that not really knowing the downsides to commercial work. Do you have any insights into why you put that on the back-burner and decided to focus on film? Gabrielle: It was a mix of things. I had formed my commercial production company in 2010 with partners. Then I had bought out my partners in 2015 and was running it by myself. What I was finding was, we were doing very interesting jobs and high-volume jobs and things that paid great, but I was running a business, in all of the ways. I was doing our accounting and I was writing all our contracts. I did all of our bids. I did all of our workers’ comp and our health insurance. I was managing the team. I had a full-time employee and then we had more full-time employees. All of the things that I was doing were mostly related to running a business and not related to producing at all. That was hard for me because I was like, “Okay, I didn’t go to film school so I could be good at accounting.” I’m good at accounting, [laughs] but the fun part for me is making stuff and I found I wasn’t getting to make stuff anymore. The possibilities were that I could go work at an ad agency as an in-house producer, get paid and make stuff for them and not have to run a company. There were also a couple of different opportunities where I could have absorbed my company into a bigger production company and functioned as their New York branch, or I could have absorbed into a post-production house that wanted a production arm. I was feeling out what that would look like and what that would be when the Beachside opportunity came up, which felt more in line with my interests and would allow me to make bigger movies and have more of an impact than with commercials. Rebecca: I want to talk about Little Woods for a minute. The film premiered at the Tribeca Film Festival in 2018, but isn’t being released until April 2019. Usually indie films come out not long after the festival premiere. What has the experience been like waiting for the film to get to audiences? Gabrielle: What I loved about the experience with Little Woods was that Tribeca took amazing care of us and made us feel like we had a special place at their festival. We had a great slot and great press and industry turnout. Then Nia DeCosta won the directing award, which was even more wonderful because I felt like Nia needed to shine and get to the next level. Very soon after our Tribeca premiere, Neon bought the film and would release it in spring 2019. 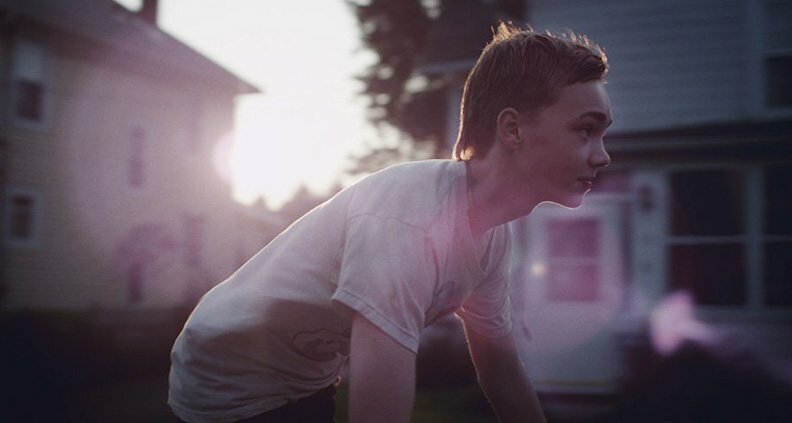 It’s longer than a normal indie film to be out of sight, but the timing is actually great. Nia recently announced that she will be directing the remake of Candyman with Jordan Peele’s Company, which is a big studio movie. That announcement has gotten her a lot of great press all leading up to the release of Little Woods, which has Tessa Thompson, who’s now a giant star and about to be in Men in Black. Now, I feel the film will reach a wider audience because of the timing. Rebecca: I remember having a conversation with you when you worried that Little Woods wasn’t going to get selected to premiere at Sundance. The project was supported by many Sundance Labs and funding came through the Sundance Catalyst program so there was a lot of pressure on the film to get into the festival. Gabrielle: Yes, it’s two-fold. For Little Woods specifically, as my second movie, everyone involved in that film from top to bottom thought we were going to get into Sundance. But from the get-go, I stressed that we needed a back-up plan because there is no guarantee that any film is getting into the festival. I have seen many of my colleagues films, who have also participated in Sundance Labs, not get in. Having a back-up plan is what a good producer does and it doesn’t mean I’m not in love with the film. I think the movie is fantastic. It has an excellent director, excellent cast, it’s really well-acted, and has something to say, but that doesn’t guarantee it a spot at Sundance. The math of it is never in your favor and it just doesn’t make sense to think that you’re somehow super special, Sundance Lab or no Lab. There are factors that you don’t know about and there’s ways that movies get into Sundance that you don’t understand and you never will. Trying to deduce what it is will make you crazy. You need to just assume that the math is not in your favor and have a backup plan. Then be wonderfully surprised if your film does get in. Rebecca: You and I have talked a lot about the producer-director relationship. Typically, when these conversations happen on panels or at labs, it’s not a balanced analysis and the focus is weighted heavily on the director side of the relationship. It’s about supporting the director’s vision, which yes, that is part of the role of the producer, but not our sole purpose. I’m curious to hear how you define the producer-director relationship and what you think are the key points to ensuring that you have a great relationship with your director. What is your priority as a producer? Gabrielle: My tactic and strategy for this changed wildly over the last several films. My goal is still to protect the director’s vision and to also protect the story, but the discussion that I always have with directors now is that “I am your partner.” We are married throughout the course of this movie and we are making this movie together. You’re the director and I am the producer, but we are making all decisions, including big creative decisions, as a team. I’m here to help you and facilitate that, but I’m not just doing this because it’s fun. I’m doing this because I believe in what you have to say and I want to help you say it, but I have opinions on what and how you say it and certain creative aspects of this process. I want to be taken seriously and my opinions need to be considered as a partner in this business that we’re creating together. I’m not going to overstep, but I ultimately am trying to make sure you make the best film, at the price that I agreed to make it for, and I want to make sure that we’re on the same page. I will do everything to deliver for you, but we’re a team. I will be with you every step of the way, but you have to appreciate and take what I’m adding to this as a creative partner. Rebecca: Amen. In the dos and don’ts, are there any don’ts that you see often that either damage the relationship or cause strain that you could talk about for the directors that are reading this? Gabrielle: A lot of directors reach out to me saying, “I have the most amazing script in the world and you should make it.” This really bothers me because it’s basically the opposite of how I see it. There are a million great directors, there are a million great writers, there are so many talented story creators, but there are very few producers who can make your movie happen. Whether that’s physically producing or through financing. There’s way less of us than there are of them, and we are the people who should be courted, not blindly solicited. As producer, we have so many options, but we are choosing to pick your project over someone else’s. The appreciation and the gratitude needs to be there because we have so much to offer. We are the real reason your movie is going to get made. I think that that’s not clear to most directors. They think that they are the magic and really I feel like it’s producers, and we’re helping them create their stories. Rebecca: I see producers as curators. We’re the first person to read something or see a piece of work and recognize the talent. It’s not just whether or not I can raise money and run production, it’s about whether or not I have the the talent to recognize other talent. Not everyone does. Gabrielle: That’s the huge part of it. Can you tell if someone’s good? Can you tell that their script is good? Can you give notes to make it better? Rebecca: That’s when I’m most offended when it comes to the producer-director relationship. When the director doesn’t acknowledge my creative contributions to the film and how my personal point of view helped make the film better. Maybe you don’t have this answer, but I’m finding it really hard right now to picture what I’m doing in five years. Where do you see yourself in five years or is it just too hard to think that far ahead? Gabrielle: I think it is really hard. The projects that I’m working on now could be getting made in five years. It could take that long. Or maybe I’ll move to a different job within this company. Maybe I won’t be at this company or maybe something else will happen. The industry is too volatile. In five years I would love to be working on a 10 million dollar movie and/or making a television show. I just want to be doing something new and bigger than what I’m doing now. I think that’s constantly my goal, to maintain the things that make me happy about the narrative and the film or the TV show, but do it at a bigger scale every time. King Jack was really small, Little Woods was a little bigger, the Billy Crystal movie was bigger than Little Woods… They just keep going up and that’s the only thing I feel like I need to maintain. If I’m doing a $500K movie in five years, I’ve failed. Rebecca: I like that perspective. My joke is always that if producing doesn’t work out, I’ll be a wedding planner, even though I hate weddings. Gabrielle: Oh my God. Yes, we would be amazing wedding planners. Rebecca: The last question I’d like to ask you is what are the things that keep you in it? We talk so much about the challenges of producing, but what are the things that keep you going and excited about your work? Gabrielle: What always brings me back to it is I love making things. I love production. I love putting the pieces together to make the thing. The bigger the film, the bigger the impact I feel it can have to the audience. Ultimately I want to tell a good story but I enjoy the process of actually making it. I want to hire the line producer. I want to look at the budget. I want to go to locations. That’s what always keeps me going for some weird reason. I just love the process of making the thing. When it’s finally at the end and you have this beautiful film that you’re watching and people are crying or people are laughing you can say, “I made that.” That’s what drives me. To read this conversation as it originally appeared click here, and click here for more Dear Producer. Want to support Dear Producer directly? Learn how here. Learn how to become a Member of Film Independent by visiting our website. Follow us on Twitter, Facebook and Instagram and don’t forget to subscribe to Film Independent’s YouTube channel.